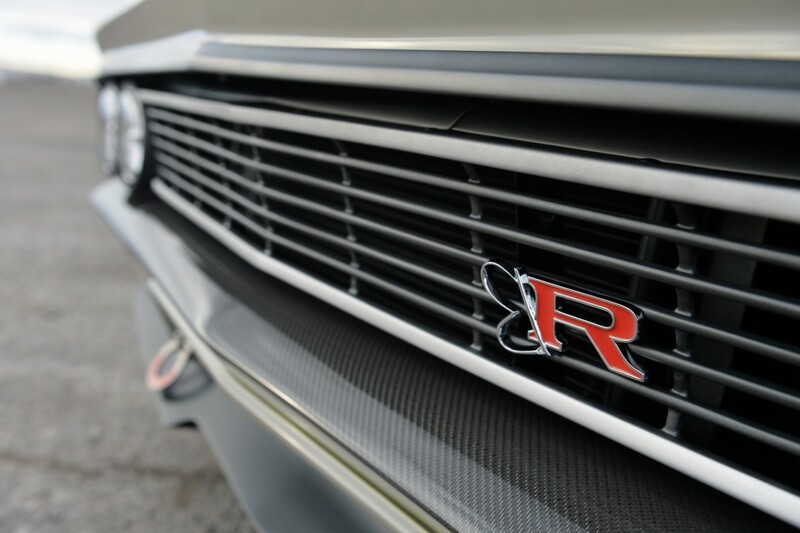 The world of high-end custom cars is in a constant state of flux. With an almost limitless number of builders creating countless permutations, it can be difficult for even an exceptional builder to truly stand out. However, standing out has never been a problem for Mike and Jim Ring, aka Ringbrothers, thanks to their cutting edge interpretations of beloved classic cars. 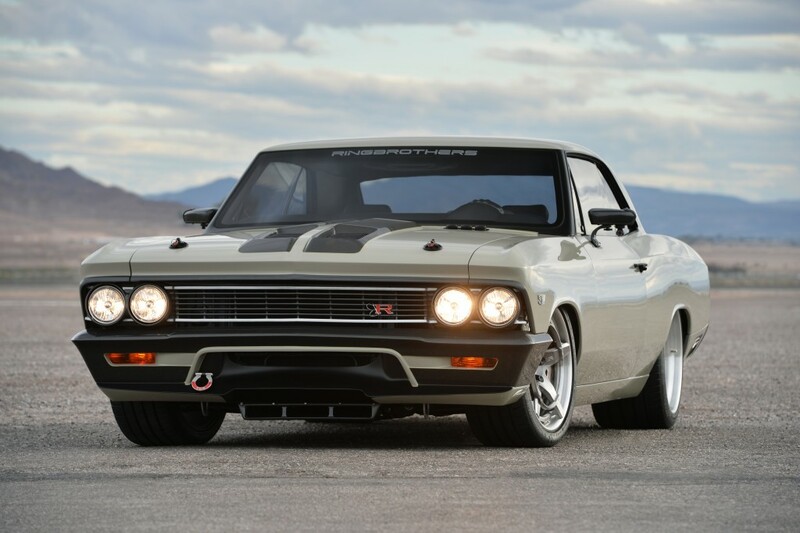 Ringbrothers latest creation, which is dubbed Recoil, takes a 1966 Chevrolet Chevelle well beyond the scope of normal human imagination and into previously uncharted territory. 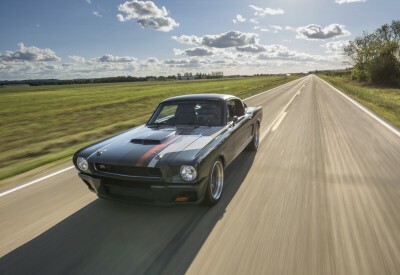 Recoil’s owner, Chris McPhie, is no stranger to Mike and Jim’s automotive prowess, as he previously owned the 1966 Bailout Mustang. However, being a lifelong Chevy guy, he decided to test Mike and Jim’s abilities on something a little closer to his heart, a ’66 Chevelle. His requirements were simple: it had to have a racecar theme, metal seats, and it had to be a subdued color. 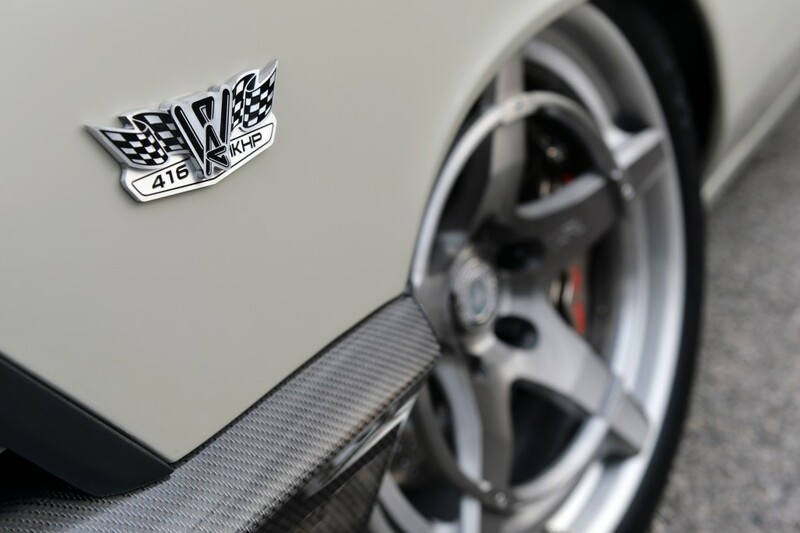 The Rings took these stipulations and crafted an entire car around these requirements, creating a truly one-of-a-kind vehicle. Early in the car’s build, Chris decided that he didn’t want to see the car at all until it was revealed to the world at 2014 SEMA Show. 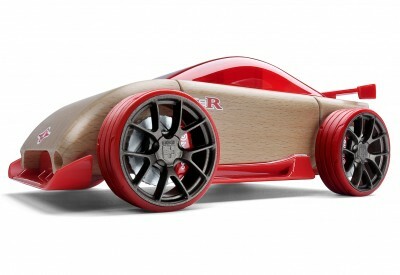 After getting their design brief from Mr. McPhie, Mike and Jim wasted no time finding a car to serve as the basis for what would become one of their wildest cars to date. They sourced a partially restored blue Chevelle which they immediately started tearing apart. The Ring’s penchant for using exotic materials in interesting ways is, by now, pretty well known. They decided to step that up for Recoil though, employing a beautiful new type of carbon fiber from Composite Envisions that adds polished copper wire to the carbon weave, imbuing it with further strength and a truly unique aesthetic. 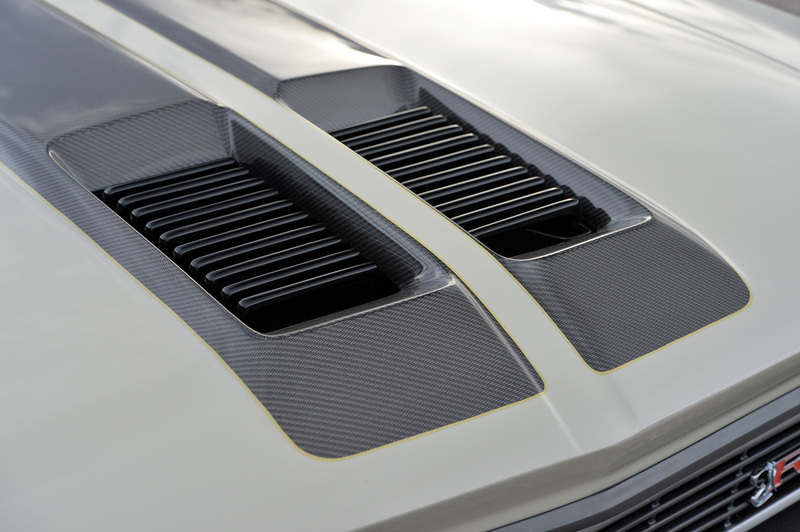 Mike and Jim used this carbon in place of traditional materials like steel and aluminum in many areas of the car, most notably the bumpers, hood, trunk, inner fenders, rearview mirrors, and the rear wing. This made for significant weight savings and further adds to the racecar feel of the build. Mike and Jim also sacrificed the Chevelle’s windshield wipers for the sake of aesthetics; so Chris should hope not to find himself in a down pour while driving the Chevelle down the street. 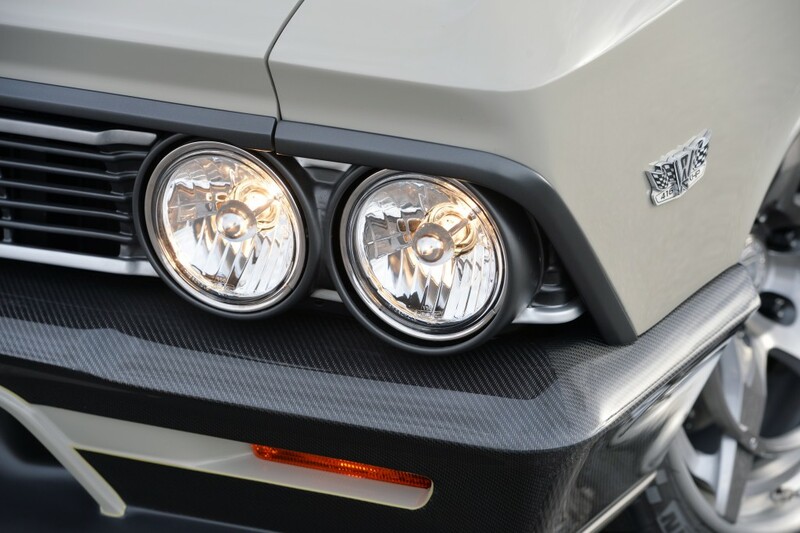 The vehicle’s original grille shape was preserved so as to not totally divest it of its original Chevelle character. The custom “Sand Storm” Glasurit-90 Waterborne paint color is a serious departure from the typical loud and brash colors of most cars that are featured at SEMA Show. The custom color may be the most un-hotrod thing ever, and that speaks to the overall feel of Recoil. It relies on its clever engineering and beautiful technical execution to do the talking, and doesn’t shout at you with loads of chrome and polished billet. 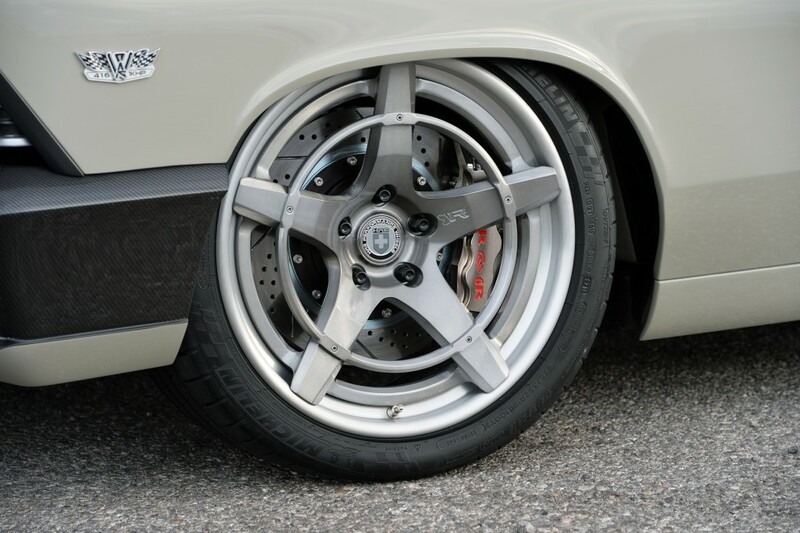 The theme of subdued excellence continues to the forged HRE wheels. HRE is known the world over for making some of the best custom wheels available at any price, and the newest addition to the Ringbrothers’ signature line is no exception. These “Recoil” forged three piece wheels are sized at 19x9 front and 20x13 rear and are wearing 275/35/19 and 345/30/20 tires, respectively. The reason for all that rubber becomes glaringly obvious once you open the hood. There is no way of getting around the fact that the 1966 Chevelle was a large car. When placed next to modern sports cars, it seems larger still. Since Recoil is being built as a track car that can be used on the street, it needs a lot of engine to give it the performance that it truly deserves. Luckily, Wegner Motorsports had just the power plant for the job in the form of a 980hp Whipple-supercharged LS7. Even more impressive is that this small-block is able to generate that astronomical power figure on 91 octane pump gas. That fuel is delivered by Holley EFI which is fed by an Aeromotive fuel cell and pump. The fuel rails received custom covers that exactly match the case of the gigantic Whipple blower. The engine is kept lubricated by Royal Purple XPR Extreme Performance Racing Oil which itself is chilled by a large oil cooler hidden in the vehicle’s lower scoop. 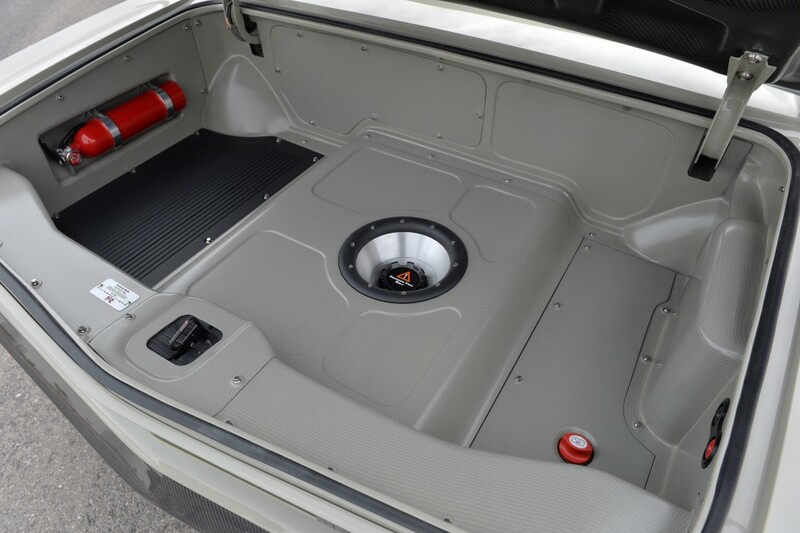 Exhaust gases are sent out through a custom exhaust system with Flowmaster mufflers. There are relatively few transmissions that are able to cope with this much power, so the Rings went to Bowler and sourced one of their beefed-up Tremec T56 Magnum units to which they mated a Dynotech driveshaft and a John’s Industries nine-inch rear end. 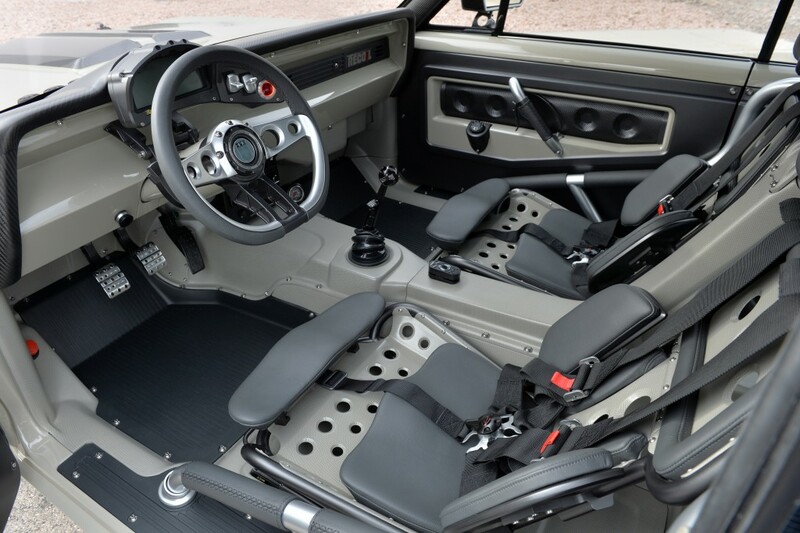 One of the most stunning parts of Recoil has to be its interior. With its blend of minimalist racecar-inspired touches, ultra high-end materials, and exquisite fit and finish, the Recoil Chevelle manages to blaze new territory in the world of high-end custom cars. The aircraft inspired seats were part of owner Chris McPhie’s mandate and despite their spartan appearance, Mike and Jim Ring assure us that they are actually quite comfortable. 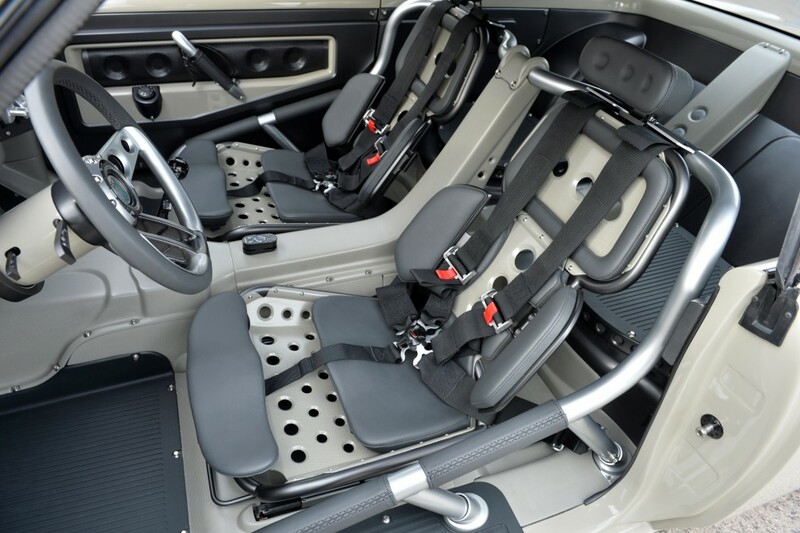 They fabricated these somewhat avant-garde looking seats using dimensions from a racing seat and only padded the areas that the occupants would touch. The driver and passenger are held fast to these works of modern art by five-point racing harnesses. Once firmly strapped in, the driver is given all of the vehicle’s vital information by a Racepak gauge cluster. Shifting is done through a Ringbrothers 10-inch throwback shifter with their billet knob and the shift boot is actually the boot from a CV axle. Other custom touches throughout the interior include custom-milled aluminum pedals, a steering wheel that is made from parts of the Ring’s Tri-five billet hood hinge kit, and repurposed bicycle brake levers used as door releases. What Mike and Jim Ring have done with their Recoil Chevelle will no doubt change the way that custom cars and hotrods are looked at for years to come. The Rings are part of a new school where even high-dollar high-concept pieces of art are designed to be driven hard and enjoyed. With a track record of success like theirs, it’s staggering to think that they’ve been able to continuously change what they do and not lose any sense of their history. Recoil, like all Ringbrothers cars before it, could not have been built by anyone but Mike and Jim. F.A. ‘Butzi' Porsche, father of the 911, once said, “Design must be functional, and functionality must be translated into visual aesthetics without any reliance on gimmicks that have to be explained.” Ringbrothers may or may not have heard this quote, but they certainly have applied the spirit of it to all their cars. From the all-carbon fiber 1965 Mustang, to the custom Winnebago, to the Recoil Chevelle, Ringbrothers continue to lead the pack in innovation and quality of execution.